These ladies use their God given talents in a unique way to care for others. This group began 15 years ago and over this time they have made and donated over 36,000 items. In the past year they produced 3000 items. 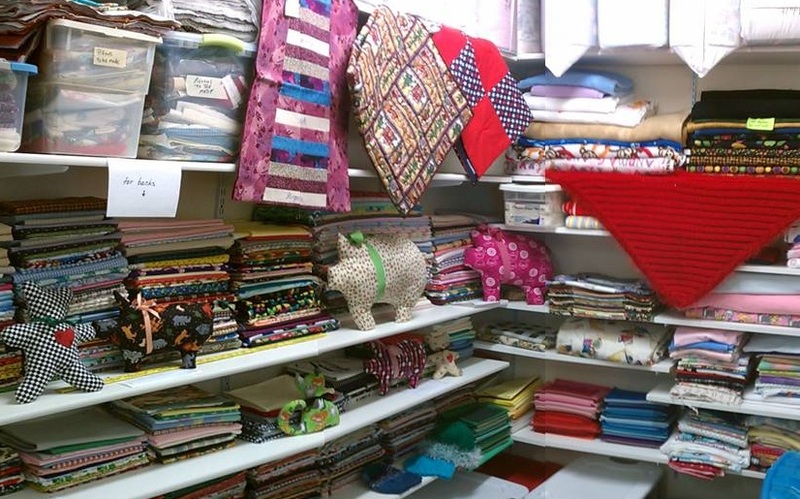 They began as a quilting group, but have grown into creating more diverse items. This year they added pillows for patients who have undergone surgery related to Breast Cancer. Some of their other items include lap quilts, comfort hats, caddy bags, prayer shawls, catheter covers, stuffed animals, rice hearts (filled with rice to microwave and use on sore muscles), pillows, hand rolls, leg warmers, chemo hats, pillowcases, helmet liners (for military), and layette sets and alzheimer memory mats that offer varied activities for therapy. Items are donated in our own community as well as agencies in surrounding towns including various hospice groups, senior care centers, meals on wheels, VA Hospital, Children’s, Parkland, and Terrell State Hospitals, and area animal shelters. A new addition to the list this year is the Dallas Children’s Advocacy Center. They are very excited about receiving stuffed animals and quilts made for children. The Women’s Fellowship Group meets on the 1st Wednesday of each month at 9:30am. This group is ecumenical with members from many different Christian denominations. We would love to have you join them to help share God’s love through this special ministry. We operate on donations and can always use your assistance. PO Box 64, Terrell, TX 75160. We can also use donations of fabric.